Rebecca Hall is one of those great examples of wanderlust that tried to live the 9-5 life but it just wasn’t right for her. Instead, she embarked on a journey to change her life. Today she calls Greece her home. Rebecca wears many hats: novelist, travel writer and travel blogger to name just a few. 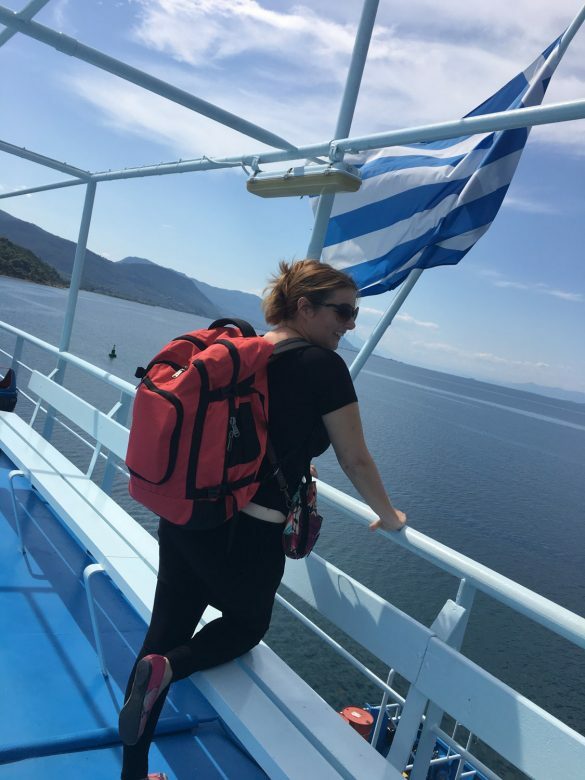 She was also the first member to join Travel Bloggers Greece in 2015. 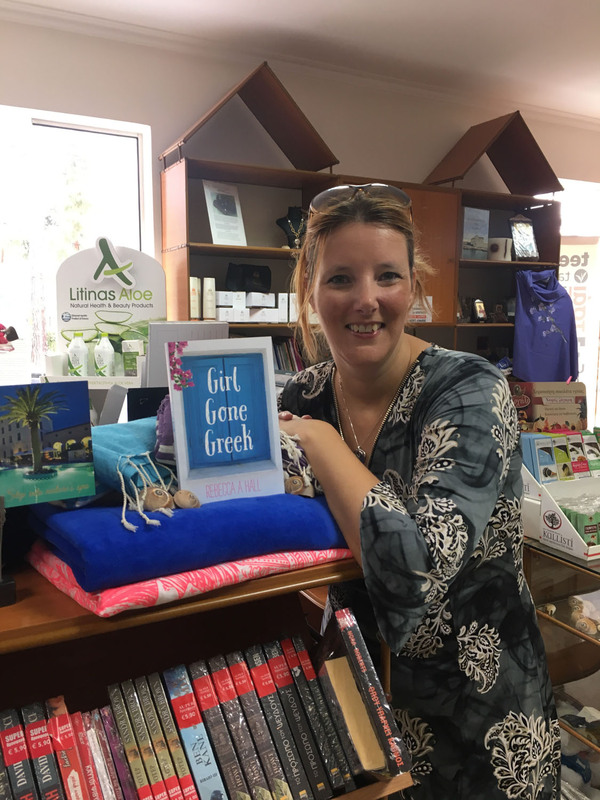 This past summer Rebecca was busy Greek island hopping on a mission to gather all the information needed to write the next Rough Guides to Greece and the Greek Islands travel guidebooks, due for publication in 2018. For those of you who are wondering if print is dead, let’s get the insights of someone who is part of both worlds — digital and print. You have been living in Greece for a number of years now. What is it that you like best about living in Greece? Where do I start?! I think Greece, without realizing it, was always in my blood. I never really felt at home in a cold, dreary environment in my own country where everyone wanted to drink to get drunk all the time. Coming on holiday to Greece, I experienced a nation with fire in their bellies…people who liked intelligent conversations—even the taxi drivers! Whilst many find this intrusive, particularly northern Europeans, I found this chaotic yet warm country suited my nature; people socialize as families in Greece and there’s still a respect for the elderly by younger people. I feel safe here, I feel as if the whole country is one big family. 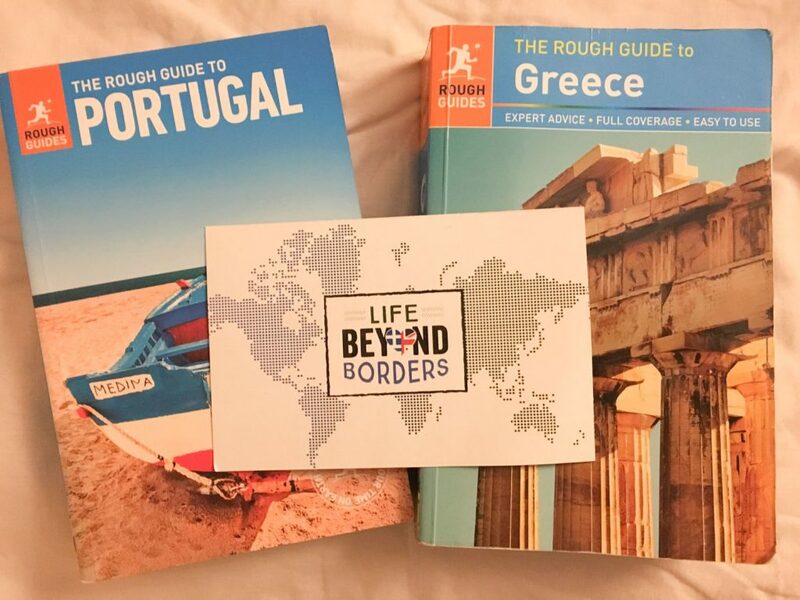 Apart from publishing you own blog Life Beyond Borders; a travel blog focused on solo, luxury, adventure and gastronomical experiences worldwide, but specifically around Greece and Europe—you also regularly write for Rough Guides. What’s the one thing in common that you find between the two sources of information? I have a duty of care to my readers (guidebook) and followers (blog) and I take that very seriously. Do you think that print is slowly dying and people are more drawn to the online sources of information like travel blogs? I hope it’s not. I do hear people debating this subject a lot, and yet I get to meet an awful lot of people on my travels, for both my blog and Rough Guides, who always feed back that they love to have a book in their hands as they go around a city as opposed to a phone app. I think they can compliment each other actually – and I think they should. As I said, guidebooks can provide the good, basic information that’s needed to assist a person, and if someone wants more personalized information – an opinion, this is where blogs come in. 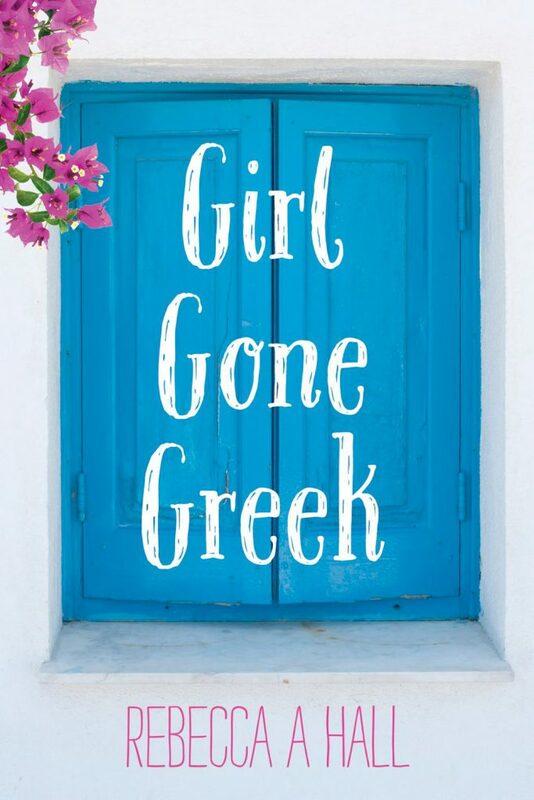 Tell us about your debut novel Girl Gone Greek. What inspired you to write it? I started penning it at the same time I started my blog (2010). I was so frustrated by the negative image of Greece that was being portrayed at the time (and still is) and I didn’t recognize it as ‘my’ Greece. So instead of jumping on a soapbox at ‘Speakers Corner’ to spout off, I felt I’d get a wider reach by being a little bit more subtle, and funny. 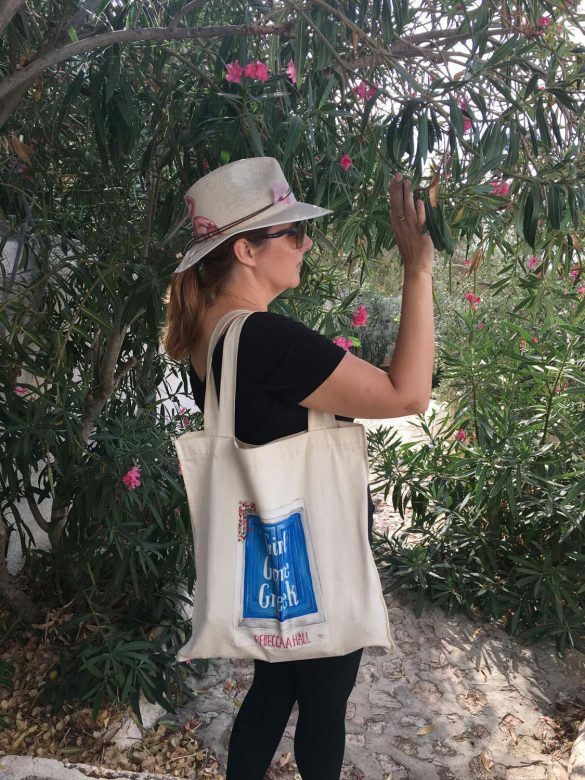 So over the course of 6 years – yes, 6 years – I penned a humorous fictionalized account of my first year living in a Greek village teaching English. 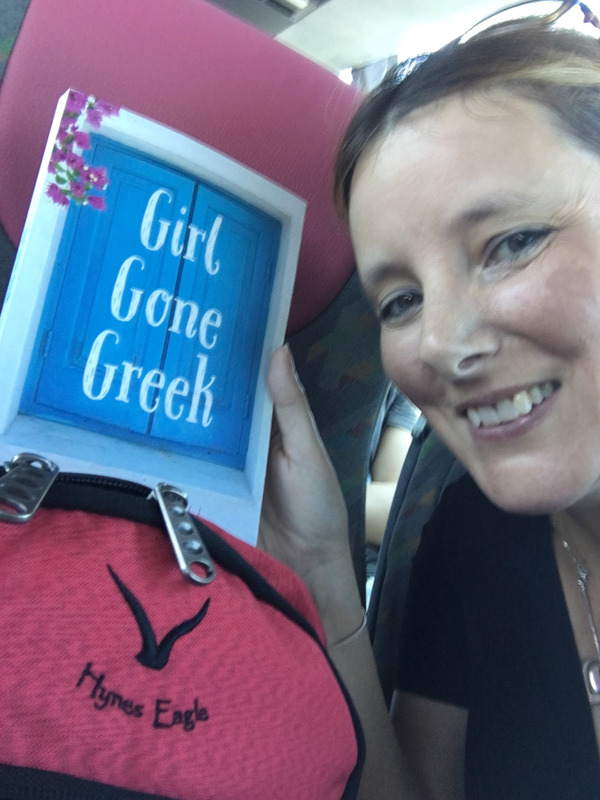 My aim (and I think/hope it worked) was to show readers through the quirky characters and characteristics of the Greek people that Greece is not such a negative place to be. The book also meant I had to delve deeper into myself as all books need a hook – an angle…some tension. So as it was semi-autobiographical I had to dig deep, therefore also serving as a form of therapy at times! I aimed to keep it light hearted though – but always with the underlying message how special this country is. What’s the most adventurous experience that you’ve had until this day? People laugh when I say this; I have to say it’s when I travelled as the only passenger by container ship from Athens to Hong Kong for 37 days. My dad was a merchant seaperson and I was keen to know what life at sea was really like, real life at sea as people have always fascinated me. So I undertook this voyage and really felt accepted as a family member on board. The crew were courteous and once again, all that time ‘alone’ or with the same people with ‘no escape’ for a period of time once again teaches you a lot about yourself. I enjoyed writing about that on my blog – especially when the security guards joined the ship in the Suez Canal to guard our vessel as it went through the Arabian Gulf. If someone is visiting Greece for the first time, where do you recommend they should go first? I would suggest people look at the nearby islands to Athens such as the ‘Saronic’ chain of islands (these are islands such as Poros, Agistri, Aegina and my favourite; Hydra…the island with no cars) and not just think Greece consists of Mykonos and Santorini and that’s it. You can combine it with a few days in the city – where some wondrous boutique hotels are opening up now. Athens really is coming along as a destination. And of course, my favourite island chain is the Dodecanese (Kos, Rhodes, etc) as I research these for Rough Guides. There are some beautiful smaller islands to explore here that people may have never heard of such as Karpathos, Symi, Halki and Astypalea. Some even have airports, meaning you can fly from Athens. What’s your next adventure Rebecca? Gosh! I’m not sure. I think I want to explore my home country of the UK a little more. When you’re away from your own country, you actually start to appreciate it more…and there are some beautiful places in the UK such as the New Forest, the counties of Devon and Cornwall in the West Country. And I’ve never been to Scotland or Ireland! “I feel as if the whole country is one big family.” I completely agree with this statement! Us Greeks are very proud of who we are and creates this intense bond.